Sunday 1pm to 4pm August 5: Tin punching cost- $10 members, $15 non-members. Supplies you will need - one 1X10x12 or 1X12x12 piece of board or an old cutting board, a hammer that is comfortable for your wrist. We will provide 3 pre-cut Christmas ornament size tin pieces for your use or a twelve inch length of flashing material to cut out your own design(s), rubber cement, tin punches, etc. and other various tools. A shrine workshop will be added soon. We are working on date, cost and supply list. The first Thursday of every month 1-3 pm, all women welcome. No charge but donations welcome. We need to cover $10 rent for space. 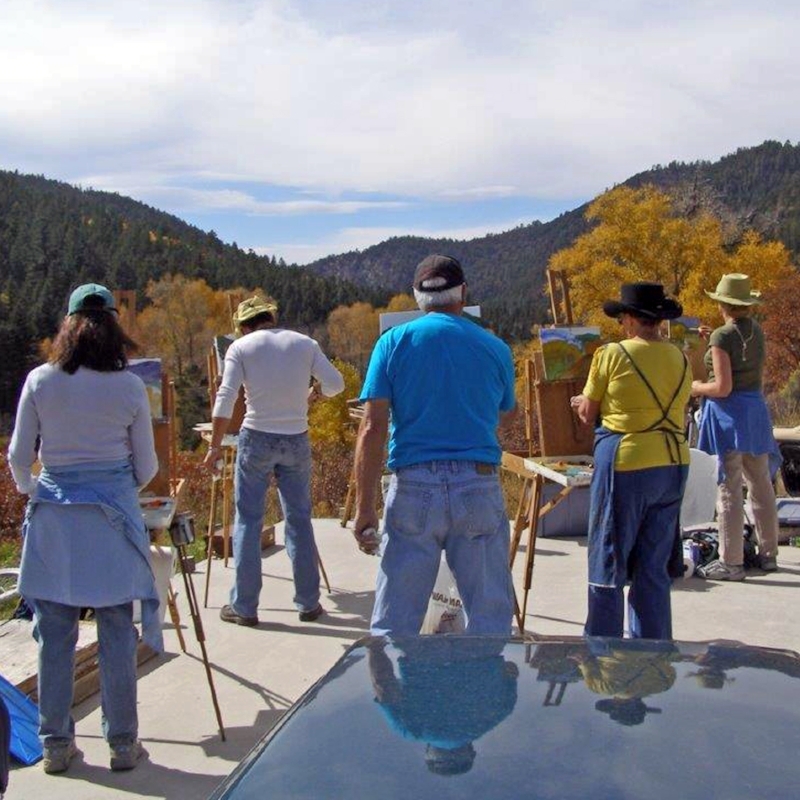 Many of our members offer art workshops to the general public. In addition, High Road Artisans has partnered with WESST to offer business-related classes to our members and the wider community. The tradition continues!!! The annual Fall Workshop has become a tremendous success. 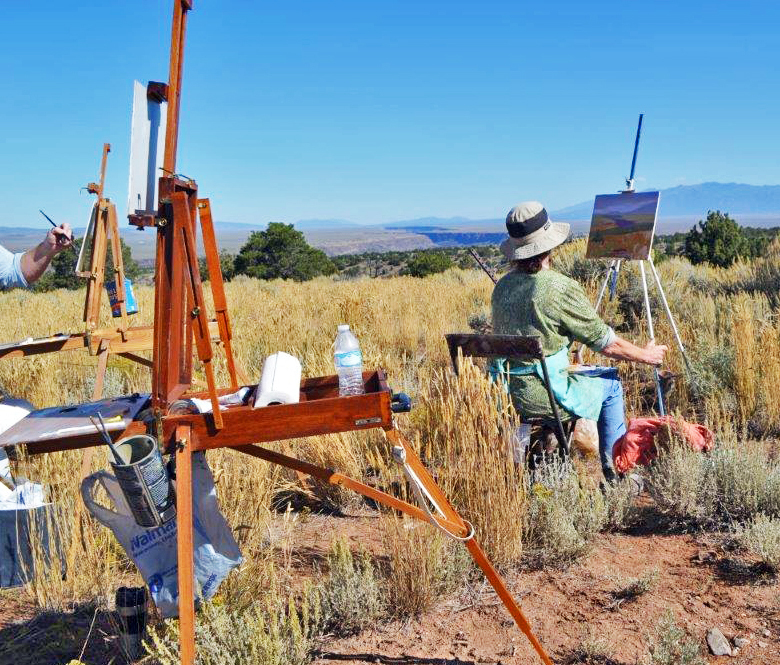 I wish to invite you to participate in this great plein air painting workshop. 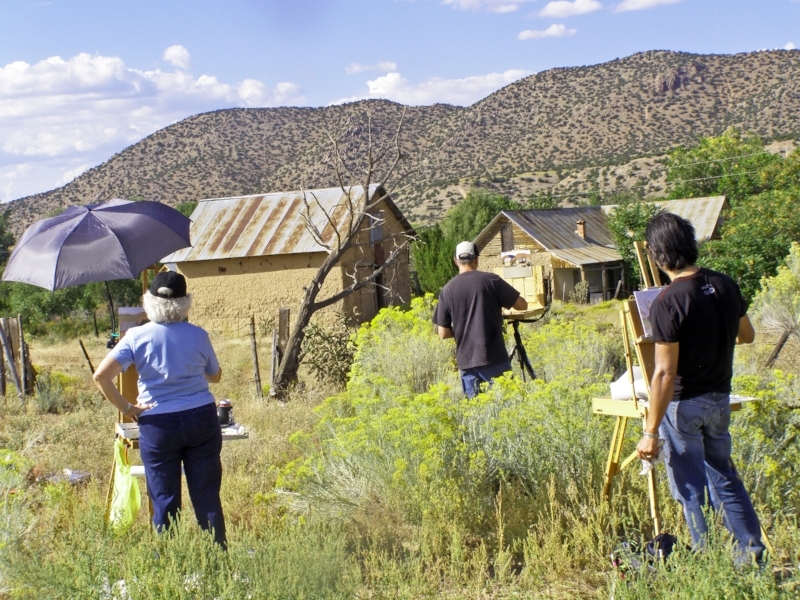 I will again teach my 3 day ‘Plein Air Painting Workshop’ in the mountains outside of Taos NM. 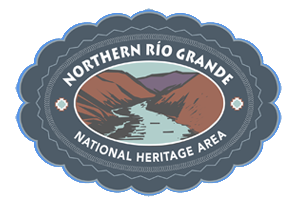 September 18-20, 2018. 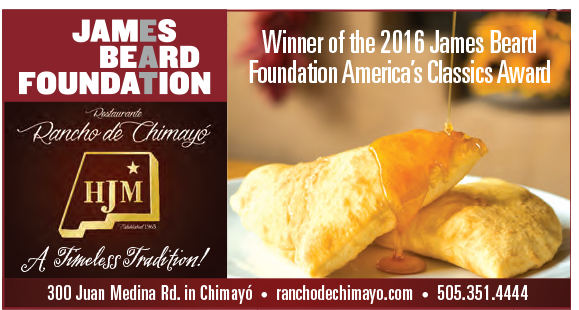 This workshop will take place in the heart of the beautiful Sangre de Cristo Mountains just 19 miles south of Taos. The workshop is for all skill levels from beginner to professional. We work outside all week. I will do demos to show you how to get started and then we will all get going. I’ll focus individually on helping you improve from whatever skill level you are currently at to the next level. 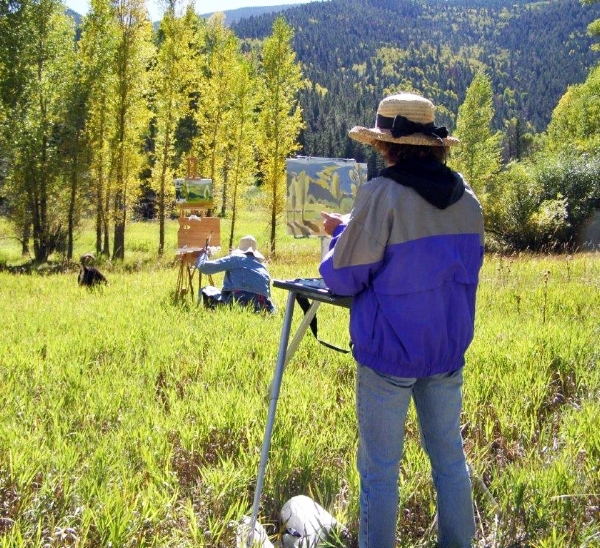 We will touch on all aspects of painting outside: from choosing subject matter, composition, mixing colors, to seeing your subject and laying the paint down. 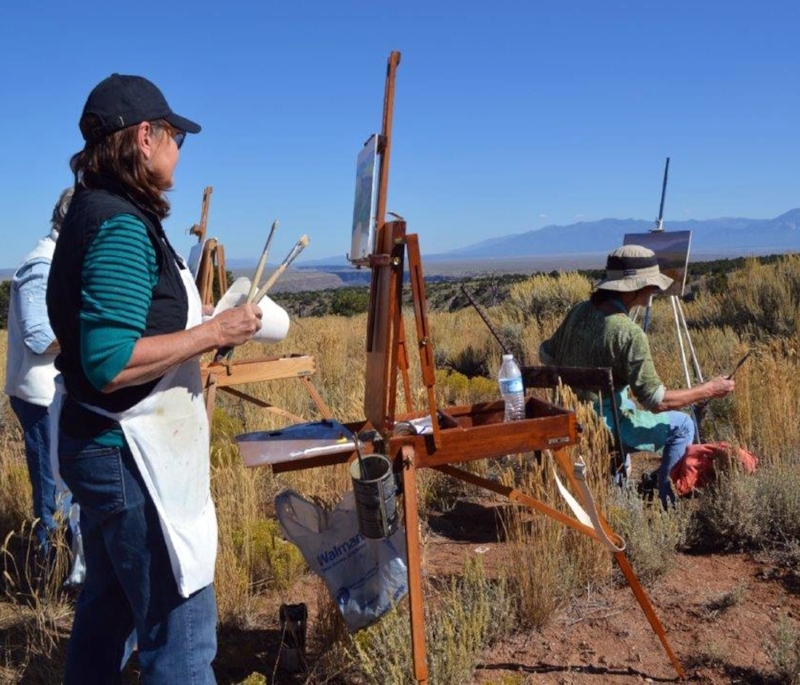 All you will need to bring is a great attitude, a desire to learn to paint from nature and your supplies, of course, (I’ll send a materials list to all those attending). 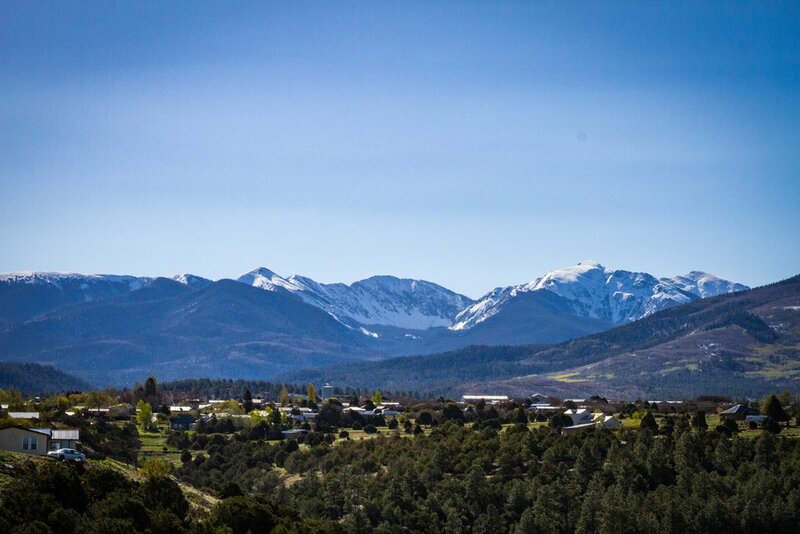 September is the most beautiful time of year in northern New Mexico, with the turning of the Aspen and Cottonwood trees, crisp mountain mornings, perfect blue skies, mountain trout streams and endless subject matter. The cost of the workshop is $400 for 3 days with a $140 deposit to hold your space. 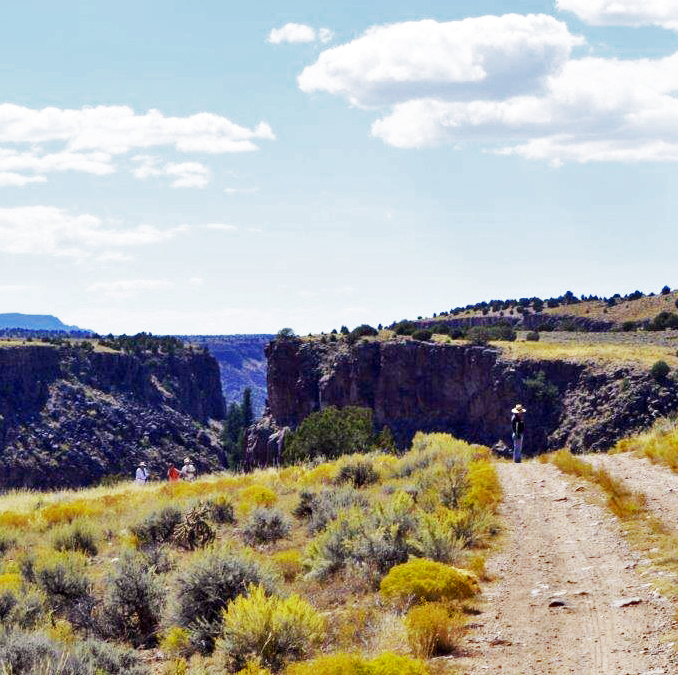 There is lodging available in the area or take the 30 minute drive from Taos each day. 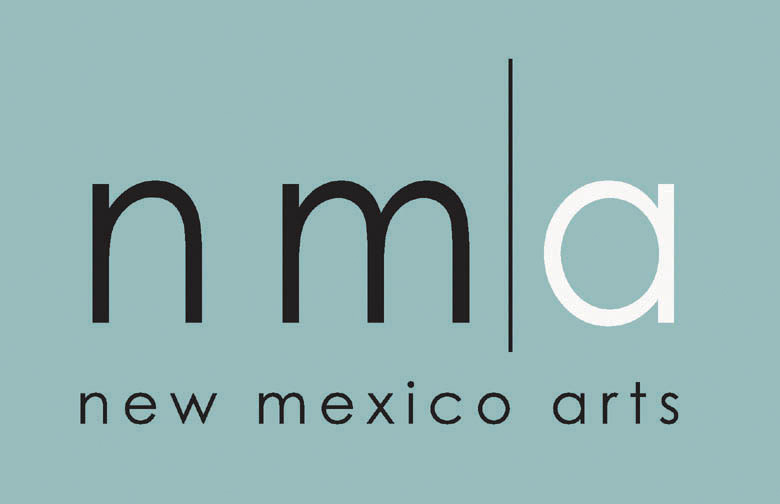 Email me back or call to reserve your space: 575-587-0359 (studio) or 575-737-1042 (cell).